﻿One of my favourite beauty brands has developed this too-pretty-for-words eyeshadow palette for summer 2011, inspired by one of my other passions, South America. Launching next month, the palette will retail at £37. 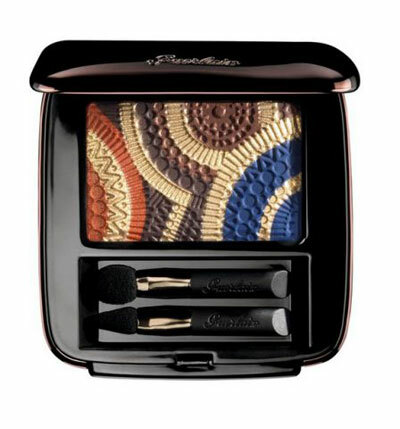 Pricey, yes but it feels so incredibly luxurious, looks like a work of art and you do receive four shades within the palette. Simply Chic- apply light brown in a sweep across the entire eyelid, layer the orange shade to the upper part then, to give more intensity to the eyes, apply the darker brown at the outer corners. Trendy- apply orange to the eyelid fold, sweep the blue shadow across the eyelid and finish with a small amount of light brown in the outer corner. Fiesta Vibe- apply orange over the entire eyelid, add blue to the eyelid fold and then apply light brown along the upper lash line and dark brown under the lower lashes.